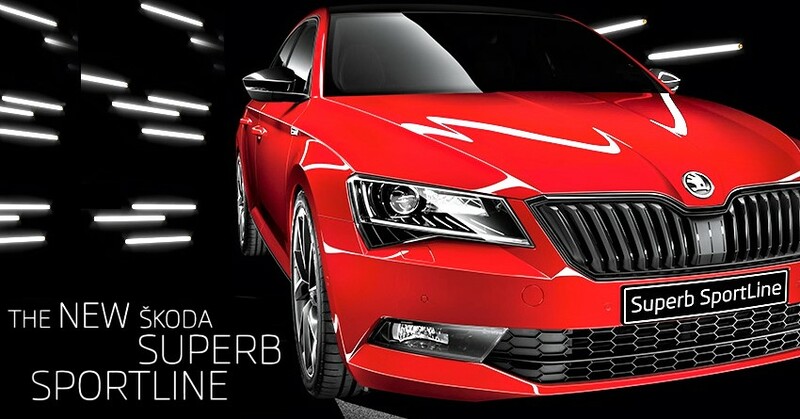 Skoda has officially listed the Superb Sportline for INR 28.99 lakh. The diesel engine for the Sportline variant costs INR 31.49 lakh. Even at the first glance, it is clear that the variant is just a sportier looking but essentially the same luxury sedan that is offered by Skoda. The style is a bit sharper and some of the parts of the exterior have been finished in black, which gives quite a fiery look combined with the red paint job. It can also be had in the White and Grey exterior shade. On the outside, we can see that the chrome on the car has been replaced with black finishes to give the sedan a sportier look. This is the same style of changes that we saw on the Octavia vRS in the international markets. The grille has been finished in gloss black, and the headlamp inserts also see the new blackened styling. The sporty look of the car is accented by the mirror caps, side skirts, and the boot lid spoiler, all of which follow the same black finishing as the grille. Also adding to the sportiness of the car is the 19-inch alloy wheels, finished in black and grey. 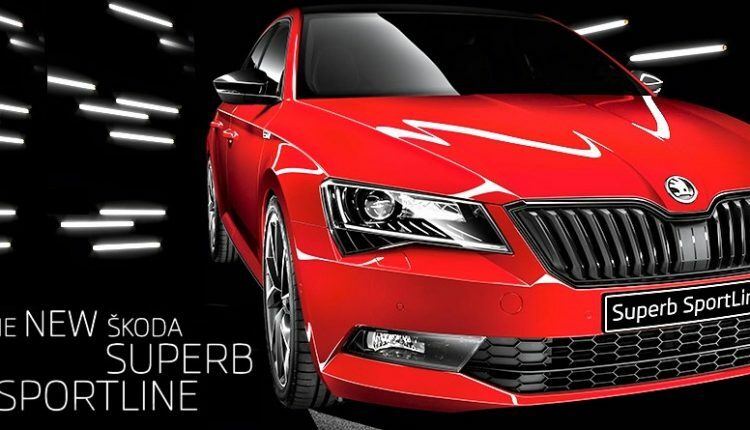 On the inside, the Skoda Superb Sportline follows the sportier styling, getting an all-black interior with red stitching. The seats are sportier and have Alcantara inserts in them. 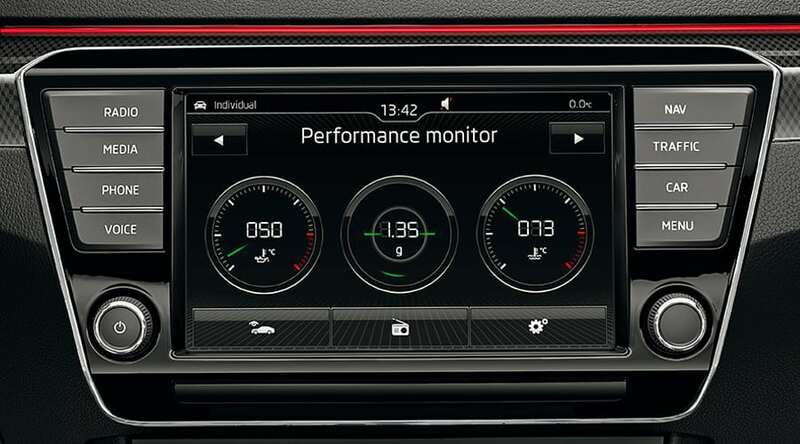 The sports variant of the car includes the aluminum pedals and carbon-fibre inserts on the dashboard as well. However, all the changes are cosmetic in nature. There are no mechanical differences in the variant when compared to the ones that are already available in the Indian market. The engine and transmission options remain the same, the 1.8-liter TSI petrol engine coupled with a 7-speed DSG or the 2.0-liter TDI diesel engine coupled with the 6-speed DSG. The former produces a maximum power of 178 hp and a peak torque of 250 Nm, while the latter produces a maximum power of 175 hp and a peak torque of 350 Nm.